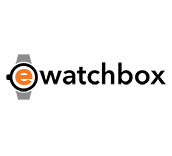 The Boxy Fancy Brick Watch Winder is the best-selling watch winder available today. The style and power functions make this winder truly unique. Nicknamed the “Brick” because it stacks like a brick, each unit is stacked on top, or to the side. The electric current flows through the combined system using one of a kind connectivity that is 100% safe. This BOXY Fancy Brick system can be used to power up to 12 units with a single power cord plugged into an expansion pad.